The 10 Best Educational Activities for Children in Nebraska! There’s an abundance of wonderful, educational places to take children in Nebraska. From museums to wildlife exhibits, there are so many places across the state that have been created with kids in mind. If you’re looking for an excellent place for your next family outing, check out the 10 best educational activities to experience in Nebraska. For an adventurous day out, the Henry Doorly Zoo in Omaha has it all for children of all ages. Visit the indoor rainforest, aquarium, jungle or desert and learn about all of the different animals that live in each one. The 104-acre park features dozens of exhibits, special pavilions, and activities for all ages. For children in love with science and space, the Strategic Air and Space Museum in Ashland is a must-visit. Kids can get up close to over thirty aircrafts and experience a spacecraft just like the Apollo Command Space Module. 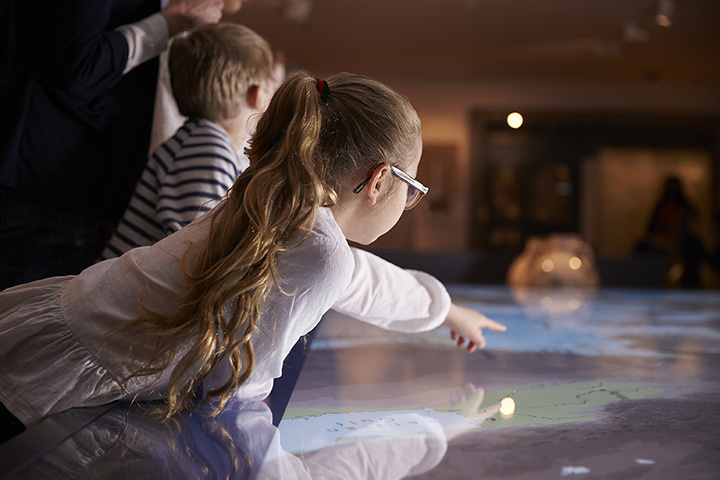 With exciting exhibits on both the social and geological history of Nebraska, the Nebraska History Museum in Lincoln is one of the best places for children to learn firsthand about the earliest Nebraska settlers and life on the plains. The Omaha Children’s Museum combines the arts and sciences with tons of fun interactive displays, activities, and games. Children will love the Super Graviton ball machine and the other fun tabletop games and activities. At the Lincoln Children’s Zoo, kids can visit with more than 300 different animals across the zoo’s stunning, landscaped acres right in the heart of Lincoln. Located just outside of Omaha, the Wildlife Safari Park is home to dozens of animals native to the Nebraska area. From deer and wolves to bison and cranes, children can check out the animal exhibits through the trails or by car. There’s also a hands-on corral where little ones can hang out with goats and chickens! Nebraska City is where the nationally celebrated Arbor Day got its start. At the Arbor Day Farm, children can experience nature through every sense with a visit to the Tree Adventure where they’ll be swept up by all of the sights, sounds, and scents of the forest. The York Area Children’s Museum is an excellent place to encourage children to explore their creative sides. Visit the craft room complete with all of the materials kids need to create their very own masterpieces. For budding scientists, kids can experience the science room and try out the microscopes. There are also activities galore for younger children and toddlers. The Kearney Area Children’s Museum features over 20 interactive exhibits with creative, scientific, and educational activities. Hang out in the train depot, visit the art studio, or learn about the environment and agriculture. This wonderful children’s museum has it all! At this aquarium in Gretna, children can get to know all of the species that can be found in Nebraska’s many lakes, streams, and ponds. Take a stroll around the aquarium and large terrarium and see what interesting species you might find!